Dispositivo automático de caida libre para alturas entre 6 y 15 metros en función del elástico escogido. ¡Traiga la caída libre a su negocio con QuickFlight, una emoción emocionante y emocionante para todas las edades! 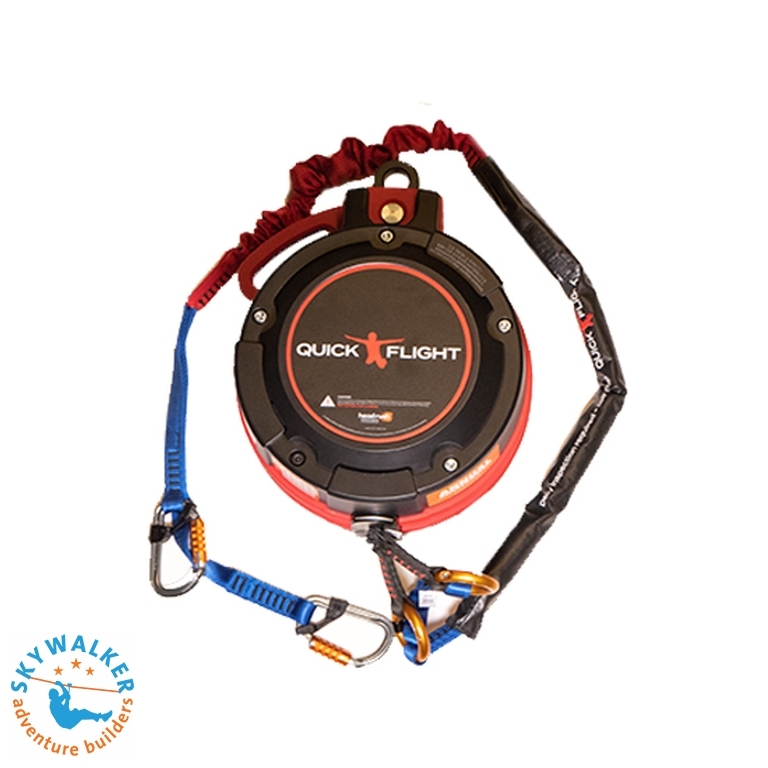 The QuickJump / QuickFlight family of free fall devices were designed as a natural extension of our patented magnetic braking technology, allowing a jumper a thrilling free fall before softly catching them and lowering them to the ground. 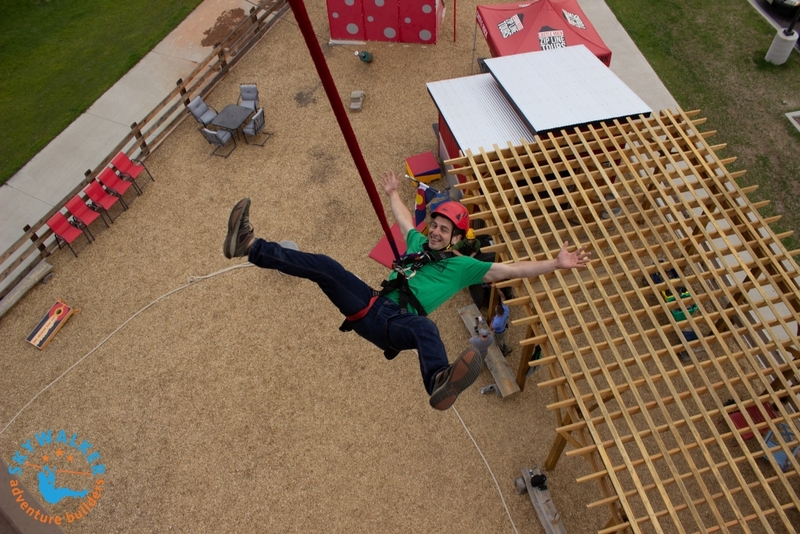 They give riders the sensation of a real free fall, and it makes a QuickJump / QuickFlight the perfect addition to a ropes course or any outdoor attraction that wants to add a real 'wow' factor. QuickJump / QuickFlight is also a great attraction for amusement parks, family entertainment centers (our Low Mount model was created specifically for indoor facilities or installations with low mounting heights), adventure parks, shopping centers, resorts, and more. A QuickJump / QuickFlight can be installed in almost any high location and moved easily, and it's affordable enough to start making a profit in a matter of hours. True free fall feeling: Our magnetic braking technology has been adapted to allow an initial rapid descent, giving the rider a true stomach-flipping thrill. Other systems require a relatively long ramp up period to get to peak speed and lack a true "free fall experience." Consistently fun descent: The self-regulating braking system has minimal variation in the descent rate of a child (at 35 lb/16 kg min.) and an adult (at 285 lb/130 kg max). Simple to install and easy to relocate: Compact modular unit designed to be hung from a top anchor. The QuickJump / QuickFlight can be moved easily to various locations. The only limitation is your imagination. High throughput at a low cost: The QuickJump / QuickFlight is a great revenue-generating attraction. 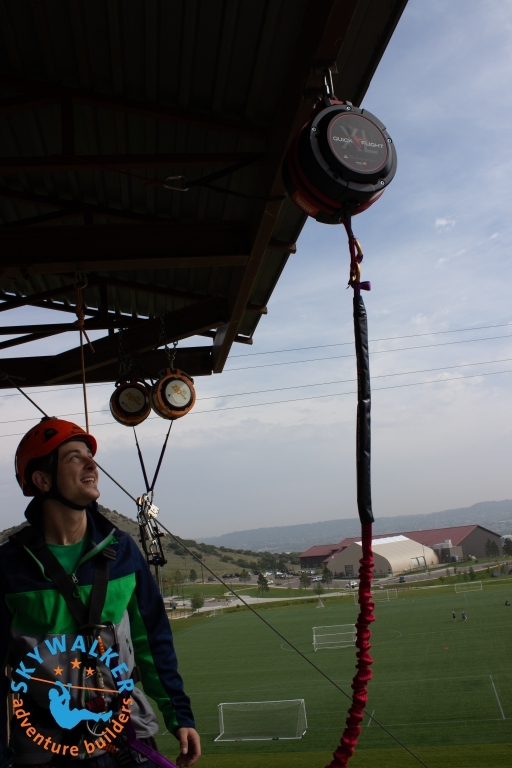 The QuickJump / QuickFlight retracts quickly and safely, allowing for more throughput than other free fall devices. It is also much more affordable to own, operate and maintain, providing a high ROI relative to the competition. Reliability with no sacrificial wear parts: Non-contacting magnetic technology with a reliable self-regulating backup system. Easy to maintain: Other than regular self-inspection, the QuickJump / QuickFlight only requires an affordable annual recertification. Webbing is durable and field replaceable. Other devices require cycle counts, spring replacement and costly maintenance. 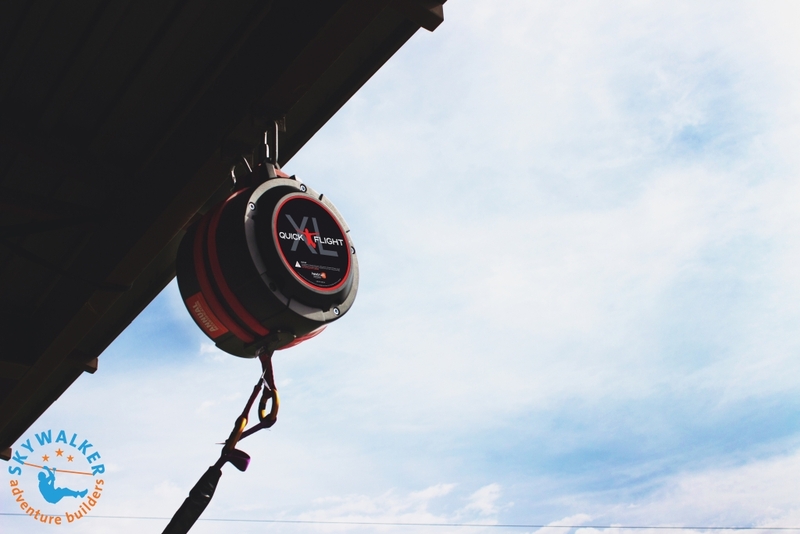 QuickJump / QuickFlight devices come with optional RipCord options that can increase the free fall distance and mounting height possibilities. 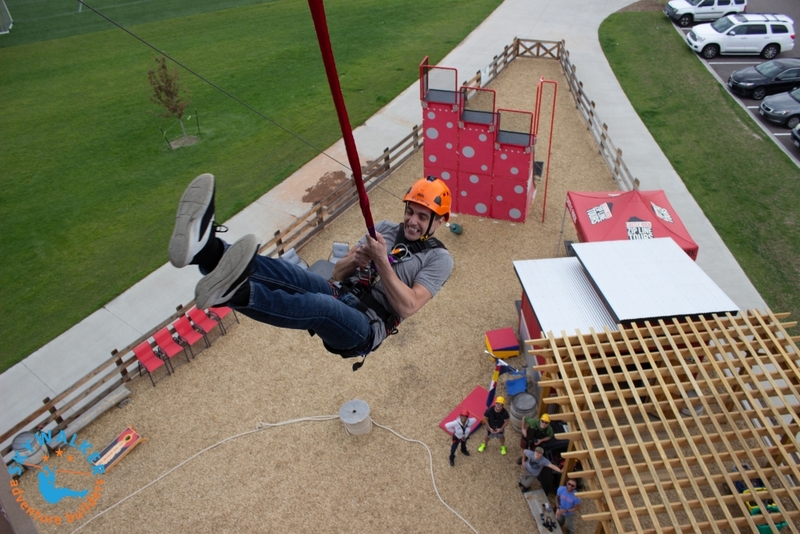 The length of the free fall roughly equates to RipCord length plus the free fall inherent to the device. Mounting height distances provided below are from the device nozzle to the ground.